This was just one of those shows that taxes one's ability to self edit. The lights are great, the band is hot, and the adrenaline rush is immense. All this translates into a huge haul of images with a very high keeper rate. So, consider this one for the fans. I'm pretty sure I had a huge grin plastered across my face while I was photographing No Doubt, though I did manage to suppress the urge to high-five my fellow photographers during the set. 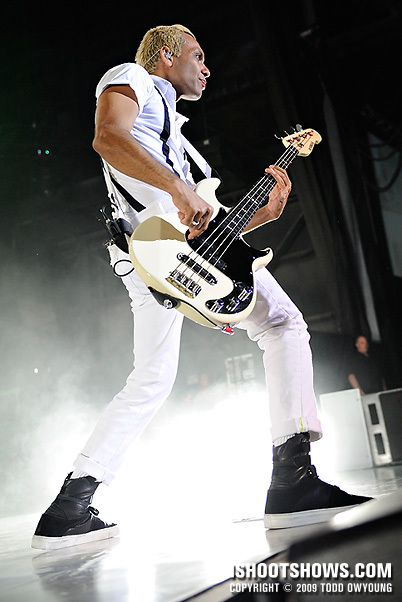 Even Paramore, who put on an amazing performance, were only a warm-up for No Doubt's headlining set. 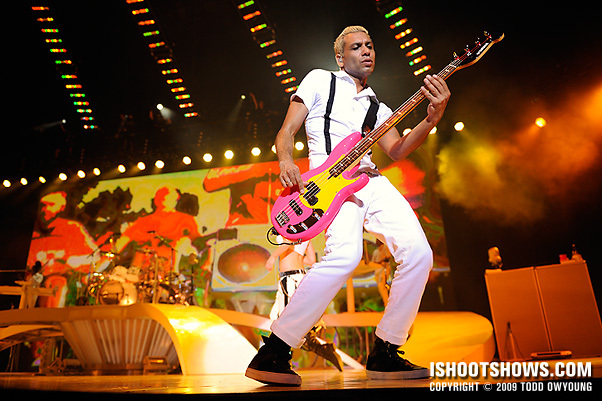 For me, No Doubt's set is one of those performances concert photographer's dream of: a huge band that brings out the killer lights and works the stage with amazing energy. It's also one of those shows where time seems to slow down. The production on a show like this is so good, and the performers so on, that these shows are, relatively, a piece of cake to shoot. 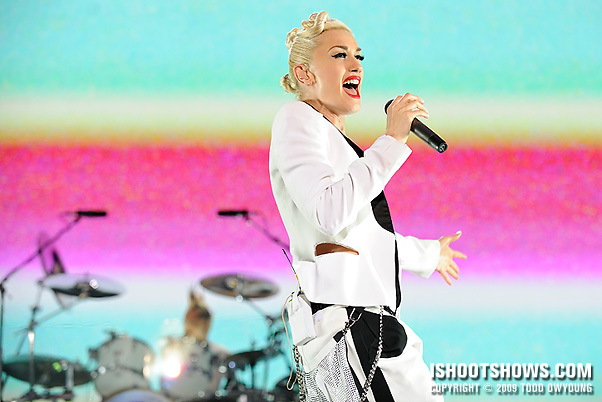 Of course, it doesn't hurt that Gwen Stefani is on stage, either. Lighting for this performance was ample, to say the least. For much of the first three songs, the band is bathed in glorious white light from spotlights and the stage rigging. A large video wall a the back of the stage provides a nice backdrop, while the third song for this performance saw a lusher treatment of yellows, oranges, and plenty of haze pumped in from the sides of the stage. I photographed this set with two camera bodies, an approach that was highly effective. Using the Nikon 24-70mm f/2.8 on the D3 and the Nikon 70-200mm f/2.8 on the D700, I was able to cover about 95% of the action that I wanted without switching lenses. For the remaining slice, the Nikon 14-24mm f/2.8 picked up a few wider atmospheric shots. Due to the very high level of movement on stage, and particularly with Gwen, I kept my shutter speeds as high as possible. There was plenty of light shining down over the performers, so this was generally not a problem. The band is fairly literally bouncing all over the stage, so my goal for this show was not only delivering emotionally compelling shots, but highly technical images as well. For the most part, Gwen spends the first three songs dominating the center of the stage, moving back and forth between Tom and Tony and working the crowd. Gwen does come to the front of the stage on multiple occasions, as does Tony Kanal, but overall everyone hangs back. For this reason, the Nikon 14-24mm didn't get too much use. If I can offer one piece of advice, it's this: wear comfortable shoes. This show is non-stop hustle, so if you're hungry for the images, you're going to be getting a bit of a workout chasing Gwen around the stage. I almost knocked over a fellow photographer in the pit while hurdling security guards and I'm only a little sorry (I know you understand, Sarah). Mate! You’ve smacked this one in the mouth with the “brilliant” hammer… Nice work! Thanks for sharing. Ha, thanks for the kind words, Sime. This show was a pure joy to photograph – great subjects and great lighting – what more could we ask for? Well, aside from photographing the full set, of course. Every now and then it just happens! – I spent the last four days shooting that festival (I used a mate’s 70-200 2.8 the whole time – have to get me one!) and the light was mega-awful.. C’est la vie! 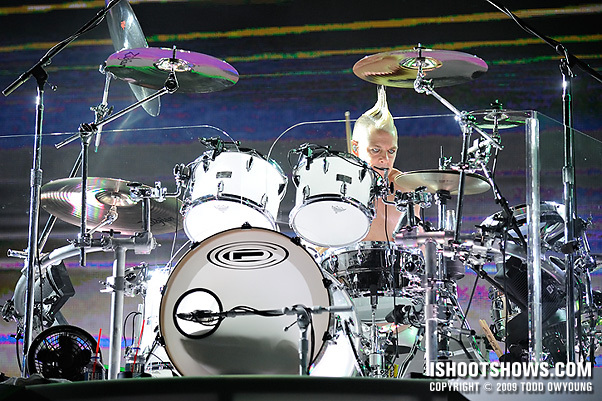 It’s shows like No Doubt’s that make up for all the smoky dives, red lights, and basement clubs one has ever shot. Hope the festival shoot went well aside from the lighting, glad you found a 70-200mm to use. You have to know that although I love all your work, this set is by FAR my fave. All the shots capture the energy of their show, which I have to say again (and to reinforce your statement) was one of the 10 best shows I’ve ever seen, out of hundreds. It doesn’t hurt that I lust for Gwen (I was standing up on my chair at the end as they took their bows yelling “MARRY ME GWEN!”). One thing I thought was interesting was that as the crew was setting up for ND, after Paramore’s great set (Hayley is an up-and-coming Gwen when it comes to stage presence), they rolled out white vinyl flooring to cover the stage. That can only have helped the lighting situation. I’ve been waiting with baited breath for you to post these, and thanks for not disappointing. AWESOME! Glad to hear that this set didn’t disappoint. These images are all for the fans, after all. If I can make someone’s favorite image from a show or tour, I’ve done my job. Yup, the white flooring was a nice little bit of fill for the band members. The white clothing didn’t hurt in this regard, either. Hey Corey, thanks for the kind words. I’m definitely in that video – you can see me on the right side at 2:28. Thanks for the link. Compared to how the show looked in that video, you seriously nailed it. Man, I haven’t commented in a while, but I had to take a minute to say that this is a really great set. I saw these guys a few years back, and they put on a non-stop show. I really think you captured the band on this one. Thanks for taking the time to comment here, glad you enjoyed this set. I agree, the band’s performance never lets up. Absolutely incredible. 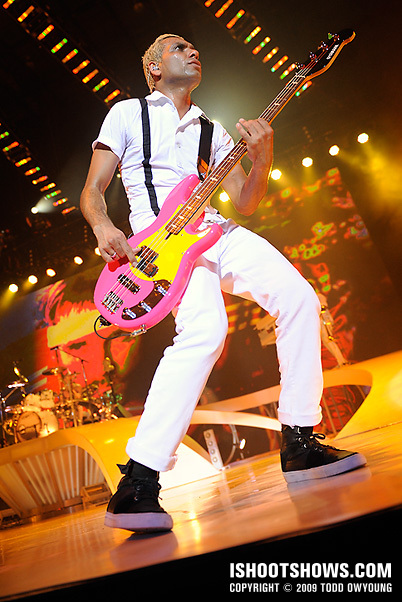 These pictures capture everything I love about No Doubt and that night. I’ve been a huge fan of yours for quite some time now and I must say that these are some of your best work. I am sitting here with a huge smile on my face because they made me all giddy like I was when the curtain dropped that night. Thank you for working your magic that night. Thanks very much for the kind words. It’s comments from fans like you that really mean a lot to me – these images are for you, and you’re why I’m hustling in the photo pit to make images every night! 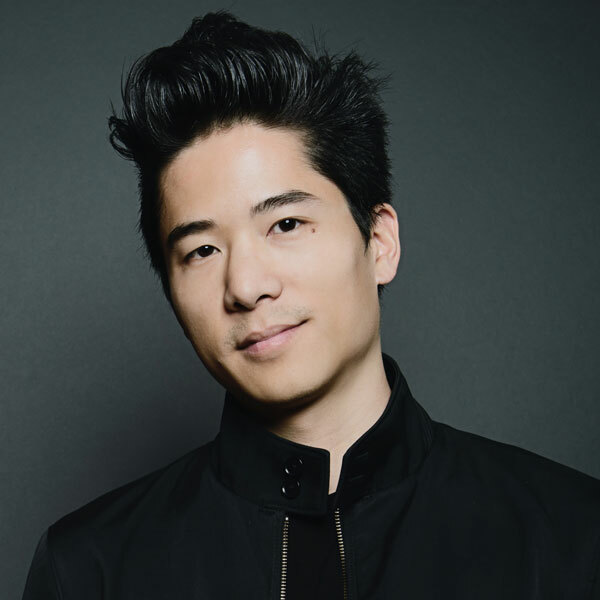 Hi Todd ,great set of photos yet again,nice work. What ISO did you hover around when given this amount of light? I’d be stoked to get 2-3 images that are this sharp, clean and vibrant…you’ve got a whole collection – can’t imagine the amount of still usable images that you chose not to upload due to overload! Thanks for the comment. I was shooting at ISO 1600 for this set – if I’d wanted to drop my shutter speed, I could have shot at a much more modest speed, but I wanted to be sure to freeze as much action as possible. And of course, ISO 1600 on the D3 and D700 looks great, even pushed a stop. Honestly, I’m a stickler for technically well-executed images, but this show made it easy. Well, that, and shooting at 1/640-1/1000. Everytime I visit your site I ask myself, “Why don’t I visit more often?” Your shots of this one are superb! I can tell not much post was needed. I am truley in envy. I WILL be checking in more often!Thanks Todd. Thanks for the comment, I hope you’ll be checking back regularly! I’m in day 4 of 5 back to back concerts, so there will be plenty of new stuff coming up soon. Especially from someone like you, it’s nice to hear…sometimes the goodness just abounds…and I know the fans will love you for it! Thanks for the comment! It’s all true, this was just one of those shows. Good vibes and good shooting, and I’m happy if I make any images fans love. Thank you so much for the shooting notes, Todd! 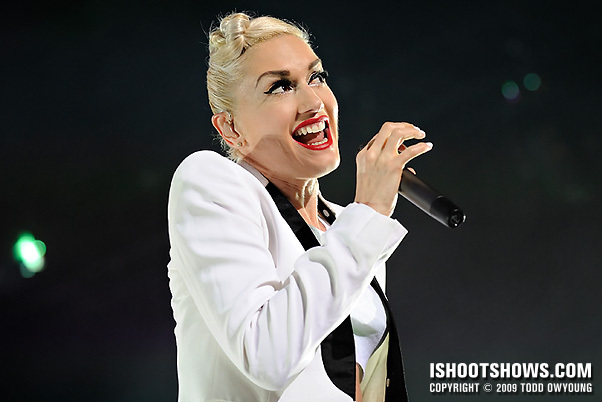 I’m really excited to be shooting No Doubt tonight at The Shoreline, and your suggestions and info will really help. 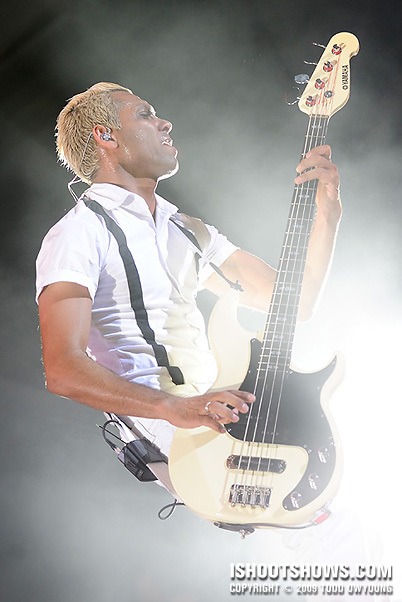 I feel like this No Doubt tour is like the X Games or Olympics for concert photographers. It was your brother’s shots that caused me to seek out a pass. It was clear from his work that this was THE TOUR to shoot for 2009. The thing that amazes me from videos and pics that I have seen is how clean the stage is. no mic stands, no amps, no cables, etc. I am completely impressed with your images from the show. Hands down my favorite set of your work so far! How did the show go? I hope the shooting notes were of some small help to you. I just saw the one shot you have up on Flickr and it looks great. This tour was definitely a highlight for me this year, and I think it’ll be hard to top in 2009. After I saw Chris’s shots and those from others in general, I knew that it was going to be a great concert to cover as a photographer. You’re right, No Doubt had a very, very clean setup. Everything was wireless, which made shooting all the better. Thanks for the comment and the kind words! Hey Benny, thanks for the kind words. It seems like set of concert photos is a favorite for more than just a few people. Hi Todd – great shots of ND! My absolute favorite is shot #10 on this page – great angle and flow, a very dynamic picture. My question for you is this: how did you get the band to approve all of these photos? In my experience the band is very picky and would never approve this many shots. Do you have some sort of special agreement with the band or Live Nation? the best photos that vi some time of concerts, great colors! You have very good photos, an excellent work! I now started to also dedicate the concerts to me, and to have this chance. I have learned very with your photos, debtor! 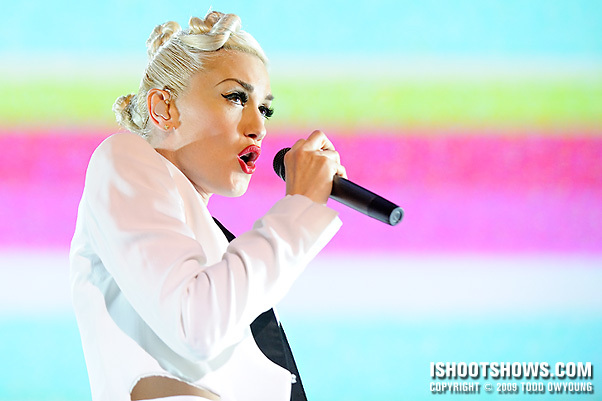 did gwen go commando that night? hi Todd, i just wanted to let you know how much i love these photos! i’m a huge ND fan and flew over from Australia for this tour, i attended 9 shows in 14 days and these Irvine shows were probably the best. Thanks for the kind note, I love hearing from fans of the bands I shoot. And even better that you got to photograph a show yourself! Best show of 2009, hands down. Thanks again for the comment!